Volvo is a brand renowned for its peerless focus on safety, not only for those inside the vehicle, but those outside and around it too. Now, the Swedish car maker has turned its attention to fuel economy after becoming the first car manufacturer in the UK to homologate its entire model range under the new Worldwide Harmonised Light Vehicle Test Procedure (WLTP). Motorists have long felt frustrated that the fuel economy they receive in the real world can often fall woefully short of the official stated mpg figures, which are worked out in unrealistic lab-like conditions. As such, the aim of the new WLTP cycle is to ensure published fuel economy and emission figures offer a more realistic reflection of real-world driving. Ultimately, customers will be able to better judge the fuel and emission efficiency of their car. As of right now, all Volvo petrol, diesel and hybrid models comply with the stringent ‘Euro 6d-temp’ standard for tailpipe emissions. 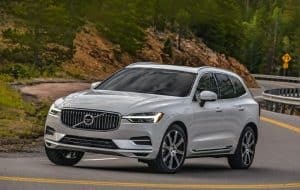 This also puts Volvo well ahead of the September 2018 deadline after which only WLTP-homologated cars can be sold in Europe. WLTP is a laboratory test, just like the New European Driving Cycle (NEDC) it replaces, but this new method uses a driving cycle that is more reflective of on-road driving. Additionally, the new Real Driving Emissions (RDE) test has been brought in, which involves an on-road test of up to two hours to evaluate a car under a variety of driving conditions and speeds. New models can only be sold to the public once they have passed both the WLTP and RDE tests. Jon Wakefield, managing director of Volvo Car in the UK, said the brand welcomed the new testing methods when they were first announced. “Greater transparency in areas such as fuel consumption and emissions helps customers make better informed buying decisions,” he commented.